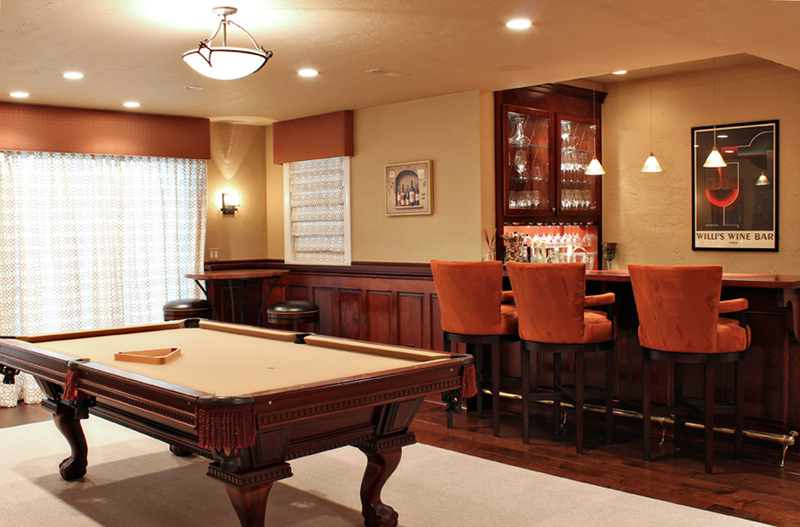 Above: The Billiard Room was painted in a warm toffee color which complements the custom, built-in bar. 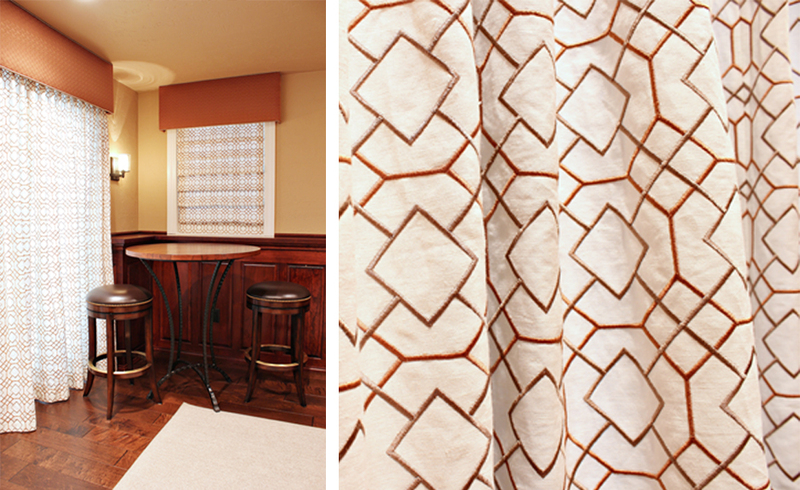 Modern barstools are upholstered in a luxurious suede in an unexpected rusty orange color. 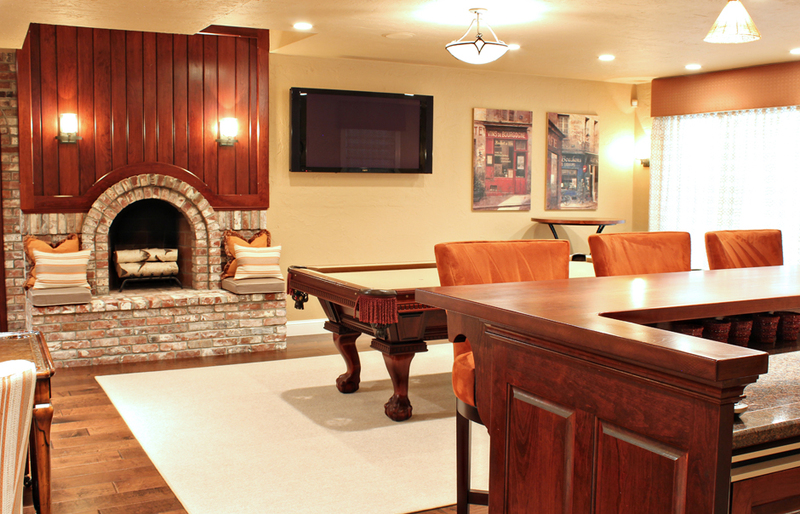 Above: Custom cushions and throw pillows accent the rustic fireplace. 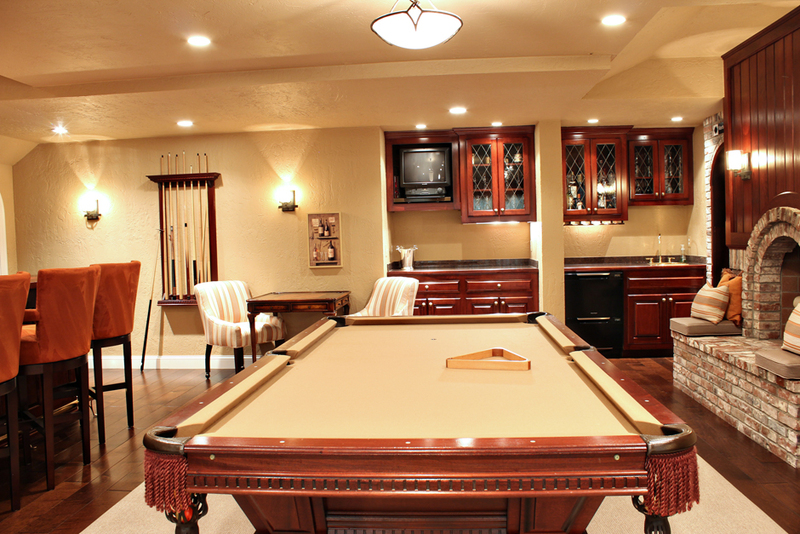 Above: The pool table was finished in a beautiful, golden tan felt. This non-traditional choice was a custom installation. Left: Copper topped bistro tables are accompanied by custom leather barstools with a masculine touch. Right: Detail of the embroidered custom drapery fabric.